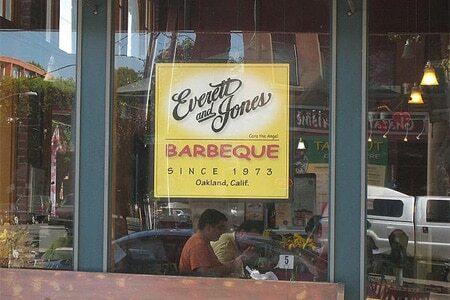 : If you could have one last soul food dinner, you should choose to eat at E&J. Since 1973, succeeding generations of one family have carried on and spread the 'cue throughout the East Bay. (The signature Super-Que barbecue sauce is in such high demand that the restaurant bottles it for retail and online purchasing.) Brisket is the specialty, but you won't be unhappy with the ribs, the potato salad, the sweet potato pie or the lemonade --- either in-house or to-go. 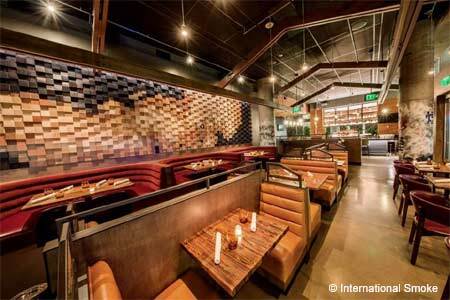 The heart of the room is the grill, barbecue smokers and prep area; live music revs up the place on weekends. South or north of Oakland and craving 'cue? Check out E&J's Berkeley and Hayward locations.